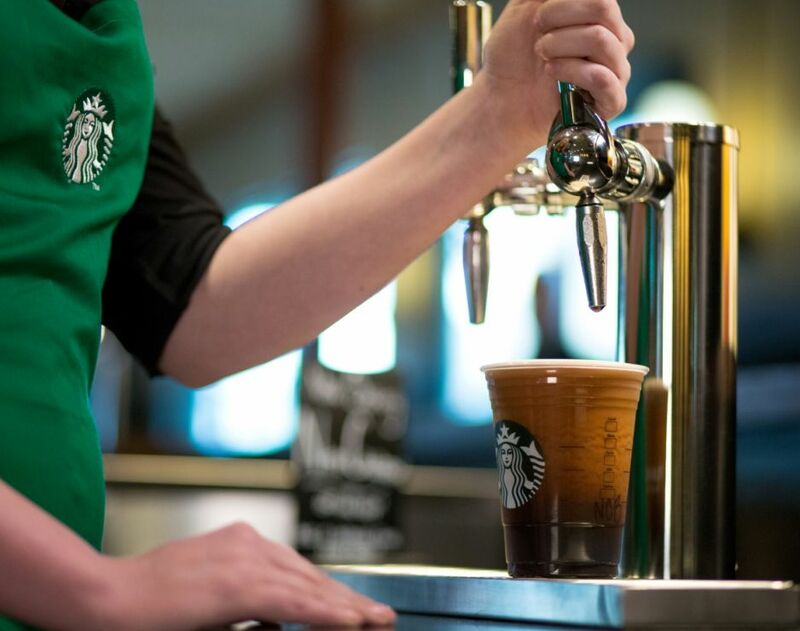 After its success over in the states, Starbucks Nitro Cold Brew is launching today in the London Starbucks Reserve Store, with plans to roll out the product to around 100 other UK stores this summer. So if you’re a coffee lover, you’ll want to try this spruced-up ice coffee. 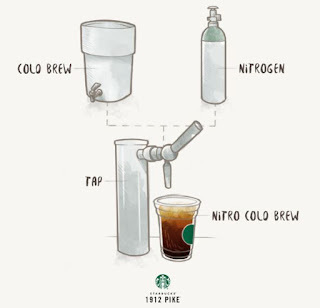 As said above, the Nitro Cold Brew is distributed from a tap, one similar to one you’d find in your local pub. Many have compared the drink to Guinness stout, similar in how a dark colour forms once the amber-coloured coffee settles. The drink also forms a creamy head and is recommended to be consumed without a straw or ice, much like you would with a pint of Guinness. Starbucks senior equipment technician Paul Buckner recognises how liquids and gases work together, as well as the similarities in coffee and beer brewing after spending 12 years as a professional. "My technical love of beer translates really well to my technical love of coffee." Starbucks are also planning to roll out the new coffee to other European countries over the next year, offering an exciting new development in cold coffee. Starbucks-focused blog 1912 Pike shared posts on the product during its initial US launch, advising the best ways to enjoy the drink. “This is an entirely different kind of cold coffee experience – one we think will revolutionize the category and the way our customers think about our cold coffee menu. “London is one of the most competitive coffee markets and so we’re delighted to bring this to our customers here first, with plans to bring it to more stores around the country this summer. So, for coffee-enthusiasts everywhere, head down to the London store to try the nitrogenised ice-coffee, coming to a Starbucks near you. Read the Starbucks news release on the UK launch here.